Sydney Fowler Wright (6 January 1874—25 February 1965) was a British editor, poet, science fiction author, writer of screenplays, mystery fiction and works in other genres, as well as an accountant and a conservative political activist. He also wrote as Sydney Fowler and Anthony Wingrave. Employed as an accountant until middle-age, in 1917 he was a founder of the Empire Poetry League and edited until 1932 the League's journal Poetry, which serialized his translations of Dante Alighieri's Inferno and Purgatorio. He also edited many anthologies for the League's Merton Press, publishing some early work by Olaf Stapledon. Wright also founded Fowler Wright Books Ltd., through which he also initially self-published some early work. Brian Stableford has argued strongly that Wright's science fiction makes him one of the central twentieth-century contributors to the Scientific Romance; the first demonstration of this is his first full-length tale, The Amphibians: A Romance of 500,000 Years Hence. 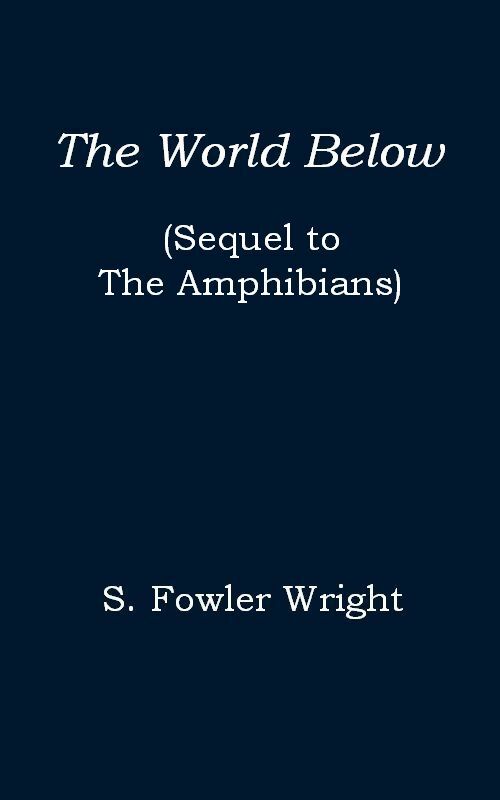 It was meant to be the first part of the Amphibians trilogy, but part three was never written and the continuation was rather synoptic. Wright's second series, the Deluge sequence comprising Deluge (1927) and Dawn (1929), begins with a disaster in which most of England sinks beneath the sea. A third series, the Margaret Cranleigh trilogy begins with Dream, or The Simian Maid (1931), which carries Wright's overriding philosophical arguments to further extremes in telling the story of a woman whose consciousness is transported back to a lost prehistory, where incarnated as an evolved primate she participates in a battle for survival against rat-like predators. The second volume, The Vengeance of Gwa (1935) as by Anthony Wingrave, was ultimately published shorn of any connecting material; and Spiders' War (1954), which carries the conflict between the primitive and the civilized into the Far Future, did not appear until much later. A fourth series was inspired by a visit to Nazi Germany in 1934 in order to write a series of newspaper articles, and this inspired the highly melodramatic World War Two Future-War sequence anticipating World War Two: Prelude in Prague: The War of 1938 tellingly predicts something like the Austrian Anschluss of 1938, and a Nazi Invasion of Czechoslovakia; Four Days War (1936) and Megiddo's Ridge (1937) are less prophetic. —sf-encyclopedia.com. In addition to 17 science fiction novels, Wright also published 22 mystery novels (as Sydney Fowler), 25 short stories, 5 collections; 4 non-fiction titles including a two volume Life of Sir Walter Scott, and 7 historical fiction including The Last Days of Pompeii and The Siege of Malta, a completion of Sir Walter Scott's unfinished novel. Epub 20171144.epub If you cannot open a .mobi file on your mobile device, please use .epub with an appropriate eReader. Mobi/Kindle 20171144.mobi Not all Kindles or Kindle apps open all .mobi files.